Questions about Hardware Resources VAN085-T? 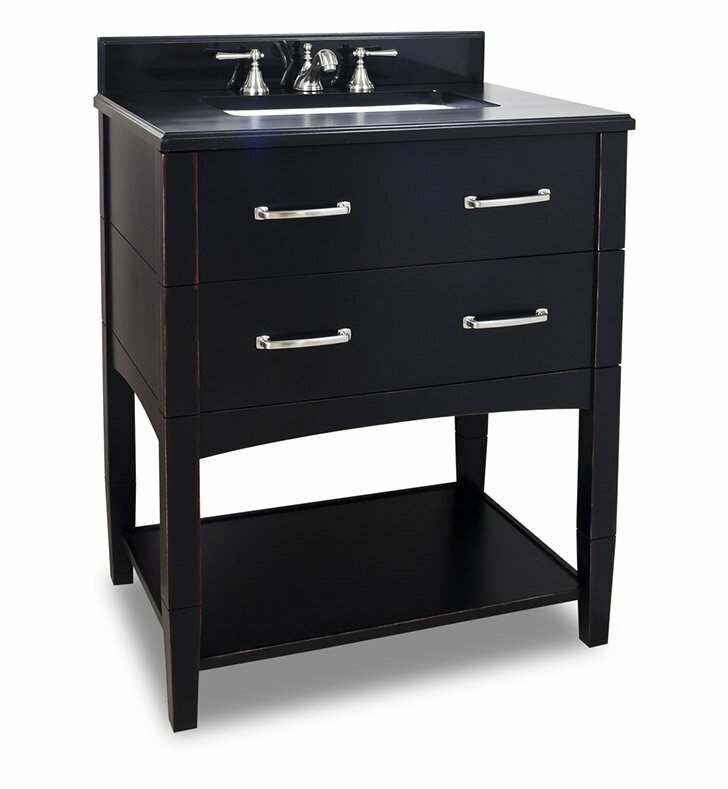 This 30-1/2" solid wood vanity has a rich Aged Black finish to give this contemporary vanity a historic feel. This vanity features clean lines and satin nickel hardware. Two fully working drawers, fitted around the plumbing, and open bottom shelf gives this vanity ample storage. This vanity has a 2.5CM black granite top preassembled with an 16-5/16" x 11-7/16" rectangle bowl, cut for 8" faucet spread, and corresponding 2CM x 4" tall backsplash. Vanity: W 30 1/2" x D 22 1/4" x H 36"